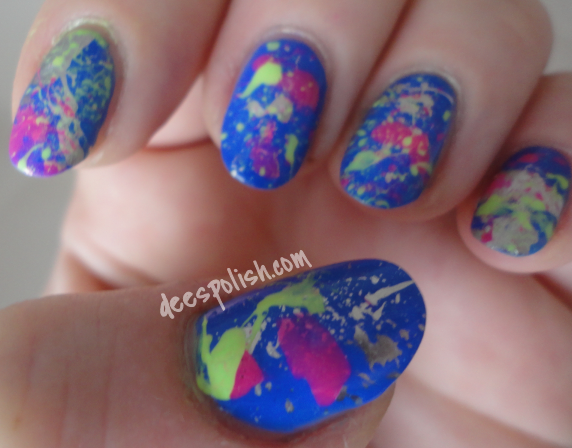 Who Doesn't Love Splatter Nails? 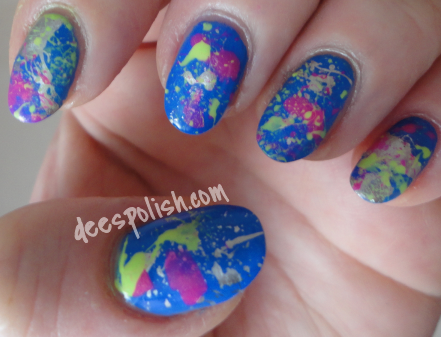 Today I bring to you one of my favourite methods of nail-art-doage... yeah: splatter! I love splatter nails because there is no right or wrong way to do them.. they are messy/gorgeous fun, and they are all a bit different, but perfectly in sync all at the same time. Now I want to listen to *NSYNC. Anyways.. I really like these gems. And splatter is just so much fun.. can be a touch messy, but always fun! Have a great day, and I shall see you all again real soon!